Black jewelry has been a growing trend in the last few months. It's a great way to add a bit of edge to an otherwise classic or conservative look. 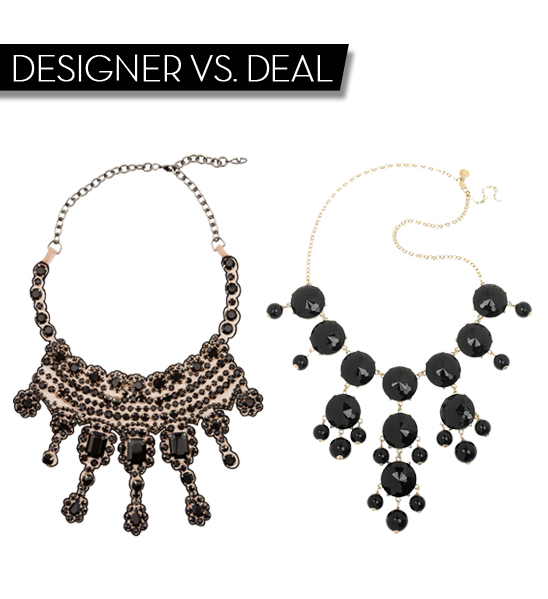 We've found 2 amazing black necklaces that each make a statement! Styling tip: Wear black jewelry with a feminine lace top or dress in white to create a strong contrast.